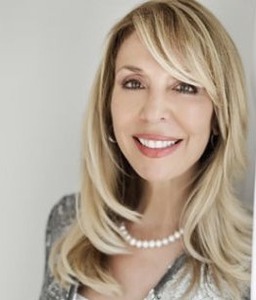 Specializing in the Westside and surrounding communities, Michelle Bolotin's amazing record of sales and service has catapulted her into Los Angeles' top agents in gross sales and the top 2 percent of agents nationwide. Michelle realizes that buying and selling a home is a very significant, time-intensive and personal process and she works tirelessly to understand her clients and their needs so she can deliver on their real estate dreams. "I define success as the satisfaction of knowing that I have made a difference in helping my clients attain their real estate goals," Michelle says. "It makes me feel very fortunate every time a client says I have done a good job at the end of a transaction." Michelle's tremendous base of repeat and referral business is a testament to her solid skills, tireless work ethic, and market knowledge. This includes many "pocket listings," which are properties not yet on the market and available strictly through her numerous connections. Michelle works with a range of clients, from a first-time buyer looking to enter the residential market, to older people transitioning to new living spaces. She realizes that providing personalized service and trusted advice is vital. In addition to strong negotiating skills, Michelle can guide clients through getting their houses ready for the market, as well as providing quality vendors for renovations. A Los Angeles native, Michelle's past experience in sales, marketing and advertising provides an advantage to her clients when selling a home. "I bring to the table extensive knowledge on how to get a house ready for sale, and my advertising expertise gives me an edge on how to best market a property to reach the best, most qualified buyers," she says. "Michelle's work ethic is second-to-none. She understands client needs, is a savvy marketer and knows how to close a transaction seamlessly and professionally," says Scott L. Gibson, president and founder of Gibson International.